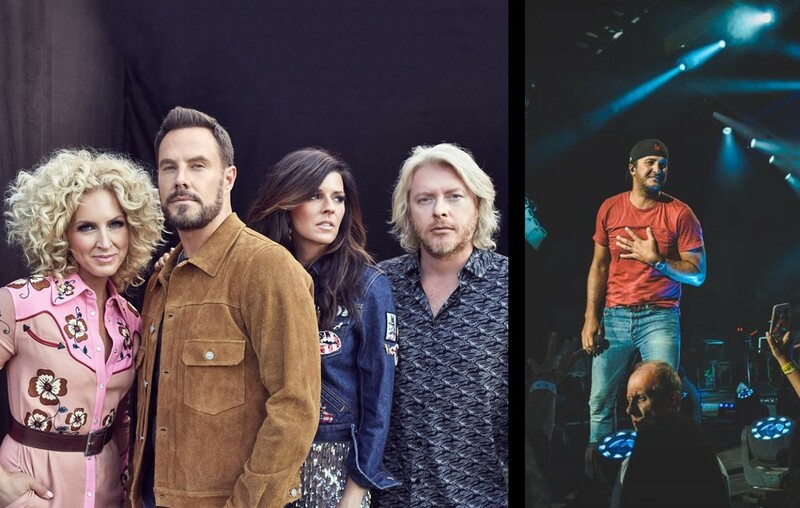 Country Jam just announced their highly-anticipated headliners for the 2019 festival! They include Luke Bryan, Sam Hunt, Little Big Town, and Alabama. Thinking about heading to the 2019 Country Jam Music Festival from June 13-16? Well, the headliners were just announced… and it is packed full of good country music. The headliners include Luke Bryan, Sam Hunt, Little Big Town and Alabama. If that doesn’t make you want to go, then stay tuned to learn about the other artists who will be performing at the event in Grand Junction, Colorado. Three of the four headliners have made an appearance at the camping and country music party, which will hit it’s 28th year in June. For Sam Hunt, it will be his debut on the Colorado festival’s stages. He spent some time this year on the road with Bryan, but the two stars will be closing the festival on separate days. The remaining two days will be closed by Little Big Town and Alabama. Sam Hunt just hit a career milestone with his debut album, Montevallo. At the beginning of the month, the 2014 project spent its 200th consecutive week on the Billboard 200 chart. That makes him the ninth country act to achieve this. Back in July, Little Big Town announced a co-headlining tour with Miranda Lambert. Also, coming up in October, the ladies of the country band will be participating in CMT’s “Artists of the Year” special, which is dedicated to the women of the country music industry. They will celebrate all-female CMT “Artists of the Year” honoring many including Little Big Town’s Karen Fairchild and Kimberly Schlapman. It will air on October 17th at 8 p.m.
Couldn’t be any prouder than to stand alongside these inspiring women. Thank you @CMT. Alabama brings the country twang to the party. They recently celebrated making music together for 50 years! To honor that, they released special edition coins. Go to Alabama’s website to learn more. In addition to these big-namers, they’ve also invited a variety of contemporary and legendary singers to the lineup. More will be announced at a later date. Don’t forget to follow Country Jam on Facebook and Twitter to stay tuned with the latest lineup updates! The music festival brought in over 90,000 fans for Country Jam 2018, which was headed by Florida Georgia Line, Miranda Lambert, Brantley Gilbert and Brett Eldredge. There are two stages on the Country Jam Ranch campgrounds and a spacious VIP area. Plus, the mountain views are hard to beat, especially when country music is being played at the same time! Tickets are currently on sale with general admission tickets starting at $99, reserved tickets starting at $360 and VIP packages starting at $720. You can also purchase camping packages. All tickets are available through the Country Jam Website.